When does going solar make economic sense? Going solar has become the trend in many countries around the world due to the rapid decline of solar panel prices. As the solar panel price continues to decline, the cost of electricity has been on an increasing trend hence causing businesses and homeowners to consider generating their own electricity with solar. However, going solar is not for everyone and you may need to consider several factors before making the decision to switch to solar. This blog post intends to discuss some of these factors that you may need to know and has also recommended some online solar tools that you can use to help you consider whether going solar is good for you or not? You will also be able to answer the question: Are solar panels worth it? for your specific situation once you read this blog post. Factors that can help you determine whether solar is right for you? This is one of the critical factors that help to determine whether solar is right for you or not. Electricity costs vary from place to place depending on the type of power plants that is being used to generate electricity and other factors such as cost of fuels, fuel transportation cost and the economic regulation governing pricing of electricity for that particular state. In 2015, the states with the highest average price of residential electricity were Hawaii (27.16 US cents per kWh), Alaska (20.28 US cents per kWh) and Connecticut (20.01 US cents per kWh). When you are talking in terms of going solar, high electricity costs means high savings when you switch to solar because of the very low operational and maintenance (O&M) required for solar. For solar, the main cost you are considering are solar panels, as you don’t need to purchase any fuel to run solar panels. In 2015, the states with the lowest average price of residential electricity were Louisiana (9.05 US cents per kWh), North Dakota (9.31 US cents per kWh) and Washington (9.37 US cents per kWh). When you have low electricity costs, it means the savings you would accrue with going solar will be limited as your solar power cost will almost be comparable to that of grid electricity. However, electricity cost is not the only factor that would enable you to make an informed decision about going solar; other factors such as the amount of sunshine your roof receives, the regulatory framework of your state, as well as financing options are key to making this determination. Actually, you will need to consider all these factors at the same time to make a better judgment about going solar. Your price of electricity may be as high as that one of Hawaii, but if your roof is not receiving enough sunshine due to shading from nearby trees or other buildings you may want to mitigate this situation or find other alternatives such as placing your solar panels on your parking lot or in your backyard. However, before mitigating this situation, one other factor you may want to consider is whether your location or region/state receives adequate amount of sunshine that can be harnessed to produce solar power. For instance, Hawaii is rated very high because it receives a lot of sunshine throughout the year while Alaska is rated very low as it receives very minimal sunshine in any given year. Without conducting so much research, today it is easy to determine how much sunlight is hitting your own roof and therefore know how much solar power you can generate. You can also tell whether there is any shade or blockage to your roof using the so-called online solar tools. 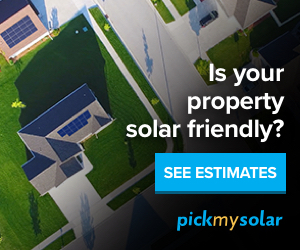 Learn more about the solar panel cost calculator. If the regulatory framework supports solar, it considers mechanisms such as net-metering, renewable energy credits, financial incentives such as investment tax credits (30% ITC) and state rebates that are designed by the government to promote widespread deployment of solar power in the country. These mechanisms work to reduce the cost of going solar, especially in states where solar power generated from your rooftop is not cost-effective compared to the cost of grid electricity. Learn more about state incentives. There are four financing options for going solar, including cash, loan, solar power purchase agreement (solar PPA) and solar lease. Learn more about solar financing options. Depending on why you want to go solar, the type of financing option you select will influence the economic benefit you can obtain by going solar. For instance, paying all the solar panel cost with the cash option will help you achieve more savings, because you are not paying any interest and you are not sharing your savings with any investor like in a solar PPA or solar lease financing models. Therefore, with the cash option, your savings as well as your payback period will be favorable compared to the other three options. However, if your biggest issue of going solar is affordability, then solar PPA and solar lease maybe your best options, as you do not need to pay anything upfront to go solar. Also in all these four options, you will still save by going solar but at varying levels depending on how you decide to go solar. Let online solar tools determine: Are solar panels worth it? If you are reading this blog post, it may seem you are curious about knowing about your solar situation and knowing whether going solar will make any economic sense for your specific situation. The good news today is that because of technology, it is very easy to pull out your energy information as well as your solar energy profile to determine whether going solar makes any economic sense for your specific situation. Get started today.